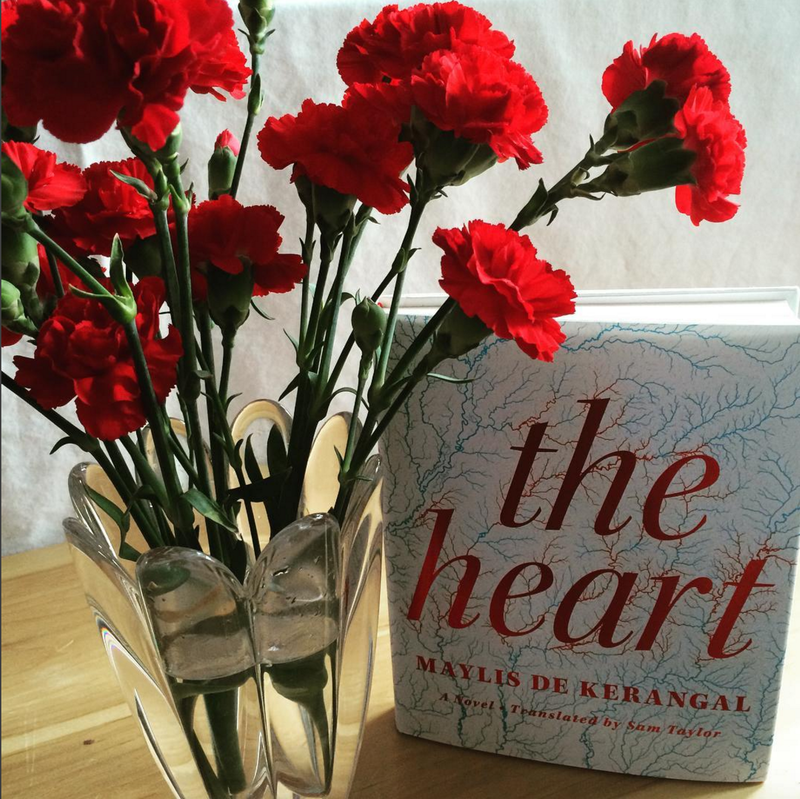 Maylis de Kerangal’s The Heart* is utterly brilliant, and deeply moving. The novel takes place during a single day, beginning with the final hours of Simon Limbres, a teenager who is fatally injured in a car accident on the way home from an early-morning surfing excursion with friends. As the day unfolds, Ms. de Kerangal’s narrative spirals out to encompass all the people who are immediately affected by Simon’s death, from his separated parents, Marianne and Sean, his girlfriend Juliette, and the doctors, nurses, and specialists who care for Simon, and ultimately make sure that his death will give life to others. How long does it take them before they accept death’s new regime? For now, there is no possible translation for what they are feeling; it strikes them down in a language that precedes language, from before words, before grammar, an unshareable language that is perhaps another name for pain. Impossible to extricate themselves from it, impossible to substitute another description for it, impossible to reconstruct it in another image. They are, at once, cut off from themselves and from the world that surrounds them. closes his eyes and smooths his skull, from the forehead to the occiput: suspected cerebral hemorrhage after a TBI, nonreactive coma, Glasgow 3—he uses this shared language, this language that banishes prolixity as time-wasting, forbids any notions of eloquence or seductiveness in articulation, abuses nouns, codes, and acronyms, this language where to talk is to describe or provide information about a body, to lay down the parameters of a situation in order that a diagnosis can be made, tests ordered, that the patient can be treated, saved: the power of concision. Révol absorbs each piece of information, then orders a body scan. [ . . . ] and suddenly the idea crosses his mind of a constantly expanding universe, a place where cellular death will be the operator of metamorphoses, where death will shape the living like silence shapes noise, or darkness light, or the static the immobile—a fleeting intuition that persists on his retina even as his eyes refocus on the computer screen, that sixteen-inch rectangle irradiated with black light where the cessation of all mental activity in Simon Limbre’s brain is announced. Unable to connect the young man’s face with death, he feels his throat tighten. And yet he’s been working in this area for nearly thirty years. Thirty years. All the characters are more than the role they play in Simon’s drama (parent, girlfriend, doctor, nurse, specialist). The nurse, Cordelia Owl, is waiting for a call from a lover, working on almost no sleep. We learn how Thomas Rémige, the hospital’s organ donor specialist, came to acquire a very rare songbird, and how he loves to sing. It is he who must sound out (again, in precisely couched language) Simon’s parents to see if they will allow the organ donation to proceed, and it is he Marianne and Sean charge with delivering their last message to their son, before his heart stops beating. Sometimes she feels she is replacing the painful contractions of her sick organ with a fluid back-and-forth, between her native French and the English she has learned, and that this reciprocal movement is digging a crevice inside her, a new cavity. She’d had to learn a new language in order to understand her own, so she wondered if this new heart would allow her better understand herself: I’m clearing a space for you, my heart, I’m making you a home. In French, the original title of this novel was Réparer les vivants (Mend the Living), which perhaps gives a better sense of the novel’s depths, its fascination not only with the meaning of death, but how life breaks and is refashioned in its wake, through love and medicine and language. Ms. Kerangal favors long sentences, in which subjects roll and reappear like the waves Simon loves so much, and which allow complex ideas and feelings room to breathe. Though very often, I felt my own breath taken away. And please, please consider becoming a registered organ donor if you aren’t one already. *I received a copy of this novel from the publisher for review purposes, which did not affect the content of my review. I love books set on one day. This sounds beautiful. I’ve read a few translations from Sam Taylor before and found them all flawless. Oh, do tell! Which would you recommend? I wish I had enough facility with other languages to comment better on the strength of translations. This one did seem particularly good. It’s on the Man Booker International long list. I’m glad to see your review! It’s the one I’m reading next. I didn’t know that—thanks for the heads up! I hope you’ll like it! Thank you! It is very, very good! Thank you for promoting organ donation. Very important. The book sounds very good. An excellent book, an excellent cause. Wow. The use of language sounds amazing. It is on my TBR listing now! The story arc rather reminds me of Carol Cassella’s Gemini. Thanks for the review! Another suggestion for donation is if you have a medical school close, they are willing to accept donations for anatomy labs, etc. That’s a really good point, Lynn. I think those are usually called anatomical gift programs, and the range of possible donors is much larger. It’s been titled “Mend the Living” here in the UK — interesting that the publisher went for the literal translation.